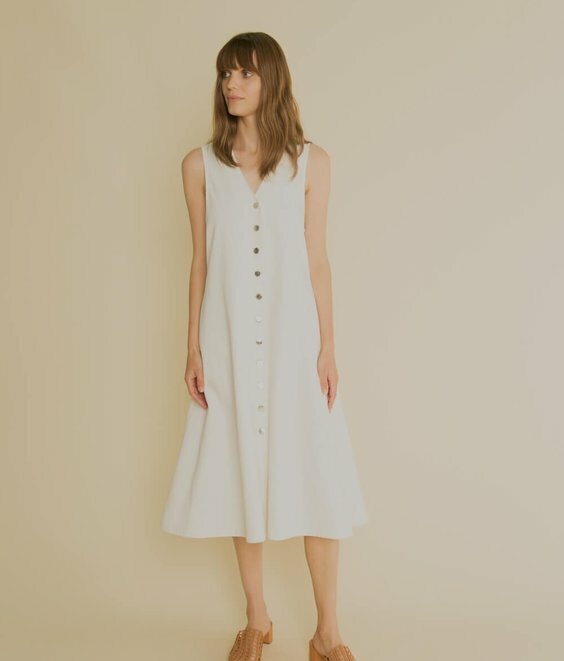 Master the laid-back elegance that defines French style with our denim Gabrielle dress - a new, vintage-inspired silhouette for the season ahead. 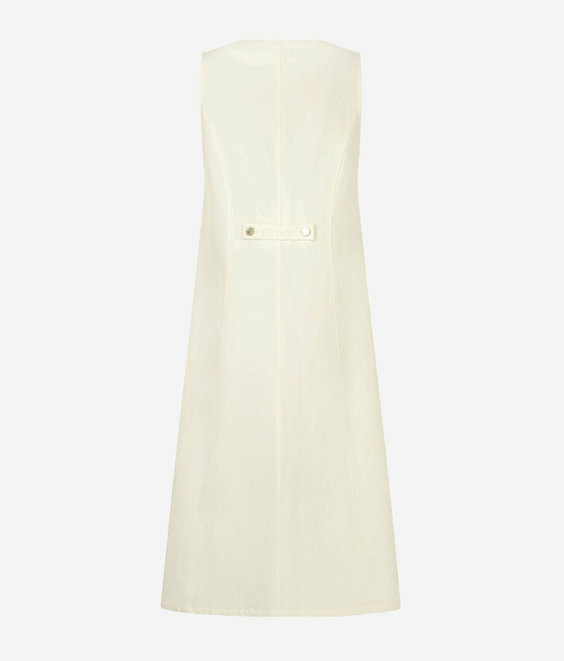 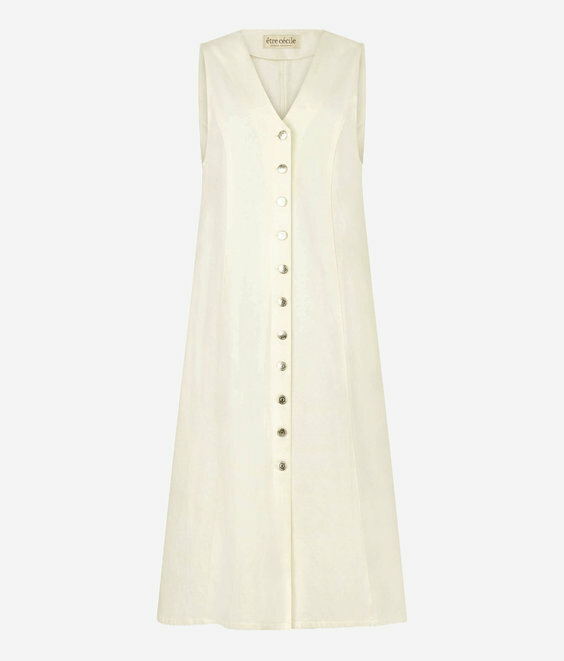 It's woven from fresh white cotton to a simple, sleeveless design with a deep V-shaped neckline and classic front button fastening, while side pockets further enhance its relaxed look and feel. Layer it over a striped T-shirt or fine merino wool knit.